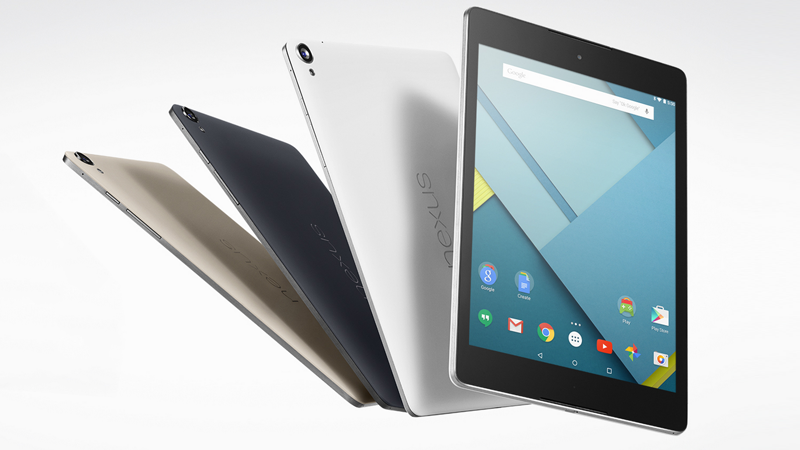 As anticipated HTC’s awesome new Nexus 9 has gone up for sale on Google’s Play Store. At the minute they are only offering the WiFi only version with the LTE variant being marked as “coming soon.” The Nexus 9 is available in both black and white and is one of the first devices to feature the wonderful new Android 5.0 Lollipop firmware. The Nexus 9 is available for purchase in the UK, US, Australia, Austria, Belgium, Canada, Denmark, France, Germany, Hong Kong, Japan, Ireland, Italy, Spain, Sweden, South Korea, Netherlands, Norway, Portugal and Switzerland. Just in case you need a reminder about the specs of the Nexus 9 you are looking at a 8.9-inch screen with a resolution of 2048 x 1536, 2 GB RAM, 16/32 GB internal storage, 2.3 GHz dual-core Nvidia Tegra K1 CPU, 8 MP rear camera, 1.6 MP front shooter and a 6,700 mAh battery. In summary you really want to buy this especially with HTC’s awesome front facing speakers present. Hit up the Play Store now to order. As you would expect they are selling very fast so be quick if you want one.